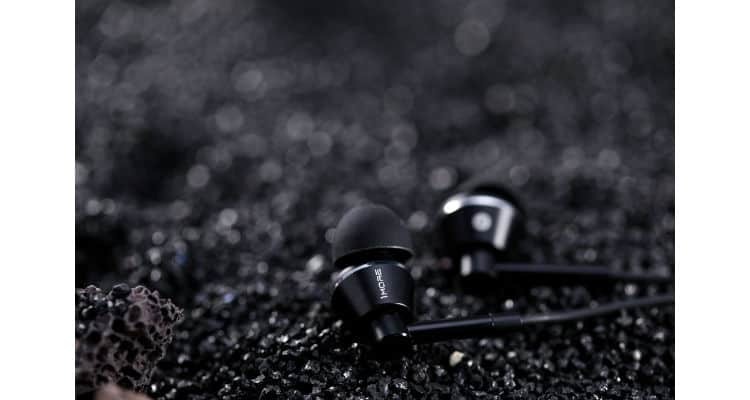 1MORE has launched Dual Driver In-Ear Headphone in India. 1MORE collaborated with internationally acclaimed Grammy Award Winning producer, mixer, and sound engineer Luca Bignardi to perfect the final tuning to deliver a precise representation of your favourite artist’s intended sound. 1MORE Dual Driver produces Superior Sound using drivers, one balanced armature with a separate grapheme dynamic driver delivers a powerful yet intimate listening experience. Together they create a spacious and transparent feeling of having nothing between you and your music. 1MORE patented armature produces sizzling highs and is uniquely inset with durable silicone covers for lasting performance and resilience. 1MORE patented driver has a triple layer diaphragm with aerospace grade metal inside two outer layers of PET, a resilient polymer, which greatly increases bass and midrange response time, definition, and fullness. The High-sensitivity, low-distortion, high-stability balanced armature work together to extend the high-frequency range up to 40,000 Hz and receive the Hi-Res Audio certification from the Japan Audio Association to capture musical details and complete musical sound. It is recommended to listen to the music with Hi-Res Audio-certified front-end devices for better music performance. 1MORE Dual Driver has an Aluminum Alloy body with KEVLAR CORE CABLE. High-quality function matches form a lightweight aluminium alloy body. The surfaces are precisely sandblasted and textured for aesthetic appeal and fingerprint resistance. Our cable consists of interior enamelled copper wrapped around Kevlar fibre to greatly increase durability and tensile strength. The surface of the cable is enhanced by TPE for softness and comfort with a final braided layer of nylon for lasting resilience and tangle resistance. The oblique angles of these Dual Driver In-Ear headphones align with the natural curve of your ears. Beyond comfort, the snug fit increases noise isolation, fullness, and bass. 1MORE’S commitment to a naturally balanced sound, without the harsh bass and treble boosting prevalent with other brands, produces a fully satisfying listening experience without the need for unhealthy volume levels. 1MORE truly wants you to hear what your favourite artists intended you to hear while protecting your ears. The price of the product is 4499 INR. The product carry’s a 1-year warranty and is available at INDIA.1MORE.com, Amazon.in, Flipkart.com, Headphonezone.in and All Leading Stores in India. 1MORE Introduces Dual Driver In-Ear Headphone in India 0 out of 5 based on 0 ratings. 0 user reviews.